Despite the depth and breadth of the existing literature on university entrepreneurship, research has focused almost exclusively on licensing patents and founding spin-offs by faculty and staff. In comparison, much less evidence has been produced on start-ups created by students and graduates, mainly due to a lack of comprehensive data. This paper evaluates the impact of education—academic subject and foreign education experience—on the creation of firms by university graduates. In terms of the academic subject, the focus is on the distinction between science, technology, engineering, and math (STEM) fields and non-STEM fields. With respect to foreign education experience, the focus is on graduates’ experience studying outside their home country. Our analysis extends the scope of existing research in two ways. First, we consider the entire education history of graduates, not just from the researched university. Second, the paper extends the traditional focus on international students and analyzes the foreign education experience of both domestic and international students. The results indicate a positive relationship between having a non-STEM degree and entrepreneurial activity. A combination of STEM and non-STEM degrees is also positively related to the entrepreneurial propensity of graduates. Students with foreign education experience are significantly more likely to become entrepreneurs than those without such experience. Many governments focus their policy on attracting and retaining foreign students, especially those with degrees in STEM fields. Our results suggest that it is more important for a government to focus on both foreign-born students and domestic students who have foreign study experience. The authors thank Vivek Goel and Stephannie Roy for their insights and support. Sana Maqbool and Brendan Hills provided valuable research assistance throughout the project. The authors acknowledge financial support from the Office of the Vice-President, Research and Innovation (OVPRI), University of Toronto. Atkinson, R. D., & Mayo, M. (2010). Refueling the U.S. innovation economy: fresh approaches to Science, Technology, Engineering and Mathematics (STEM) education. https://www.itif.org/files/2010-refueling-innovation-economy.pdf. Accessed 10 Jan 2019. Attour, A., & Lazaric, N. (2018). From knowledge to business ecosystems: emergence of an entrepreneurial activity during knowledge replication. 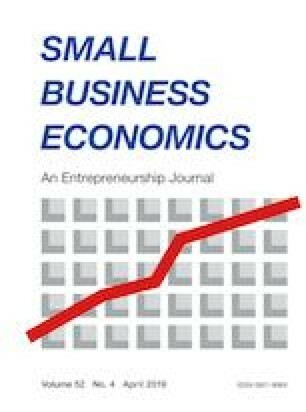 Small Business Economics. https://doi.org/10.1007/s11187-018-0035-3. Azoulay, P., Jones, B., Kin, J. D., & Miranda, J. (2018). Research: the average age of a successful startup founder is 45. https://hbr.org/2018/07/research-the-average-age-of-a-successful-startup-founder-is-45/. Accessed 10 Jan 2019. Blume-Kohout, M. E. (2016). Imported entrepreneurs: foreign-born scientists and engineers in U.S. STEM fields entrepreneurship. https://www.sba.gov/advocacy/imported-entrepreneurs-foreign-born-scientists-and. Accessed 10 Jan 2019. Isenberg, D. (2014). Entrepreneurship always leads to inequality. https://hbr.org/2014/03/entrepreneurship-always-leads-to-inequality/. Accessed 10 Jan 2019.